The phrase “May you live in interesting times” is usually cited as a sort of curse, but can you imagine the opposite, ie living in boring times? 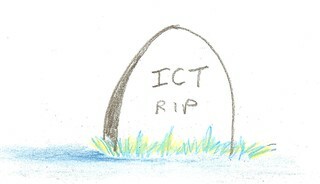 Fortunately, especially here in England there is no danger of that for a while, at least in the world of ICT. Here are a few snippets of news which I won’t comment on at the moment because I like to cogitate, reflect, and then cogitate some more before pontificating. As I said in a previous article (10 Obligations of Bloggers), quoting Salvator Rosa, I believe in the adage “Be silent, unless what you have to say is better than silence”. 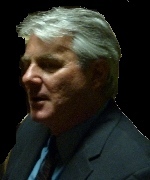 #edusum11 Mike Searson is the President of The School for Global Education & Innovation at Kean University in the USA. I met him in Paris the day before the EDUsummit 2011 conference which took place there. He headed up our small, intrepid band of social media folk. Something Mike related really made me think. Don’t try to lay no boogie woogie on the king of rock-n-roll! Didactic teaching or discovery learning? The researchers’ conclusion was that, in the context of strange toys of unknown function, prior explanation does, indeed, inhibit exploration and discovery. Generalising from that would be ambitious. But it suggests that further research might be quite a good idea. Does this imply that the advocates of discovery learning (and their associated preference for “guide on the side” to “sage on the stage”) are right? #edusum11 The conference is now in its final hour or so, with brief addresses from an international panel followed by "Next steps". I started to write a blog post earlier, but realised very quickly that I need to do more reflecting. It's been a very rich experience in some respects, and I need to assimilate what I think I may have learnt. I've had the opportunity to meet with some of the organisers, representatives of Ministries of Education and researchers. You can follow the conference on Twitter, using the hashtag given above. There will be video podcasts later (I'm told Monday).